An adviser to the Ukrainian Interior Minister said that Russian journalists who had visited post-referendum Crimea will not be allowed to enter Ukraine even if they are accredited for the Eurovision Song Contest. 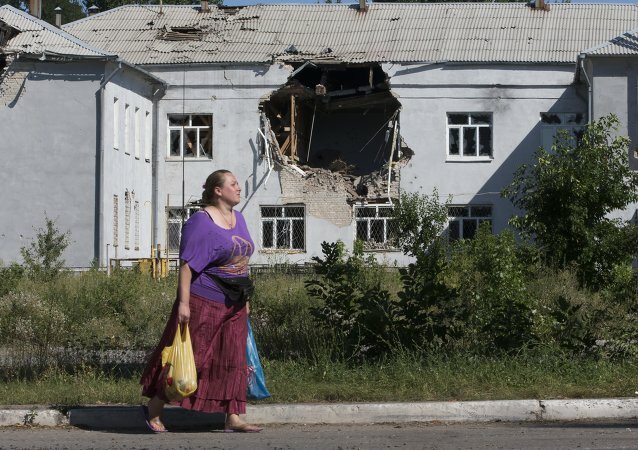 According to an adviser to the Ukrainian Interior Minister, a Briton was killed and a German citizen was injured as a result of the explosion that hit the car of the OSCE Special Monitoring Mission to Ukraine in Donbass. The killer of former Russian lawmaker Voronenkov was identified as Ukrainian citizen Pavlo Parshov, born in 1988. He was a member of Ukraine's National Guard but did not take part in the war in Donbass, according to the Ukrainian interior minister. Ukraine threatened to deny entry to Russia's Eurovision candidate if she voices support for Crimea's 2014 reunification with Russia. In an interview with Sputnik Crimean MP Vladislav Ganzhara said that the threat is too real to be ignored. Kiev's delegation to the OSCE Parliamentary Assembly protested a resolution stipulating the lifting of sanctions imposed on Russian lawmakers. 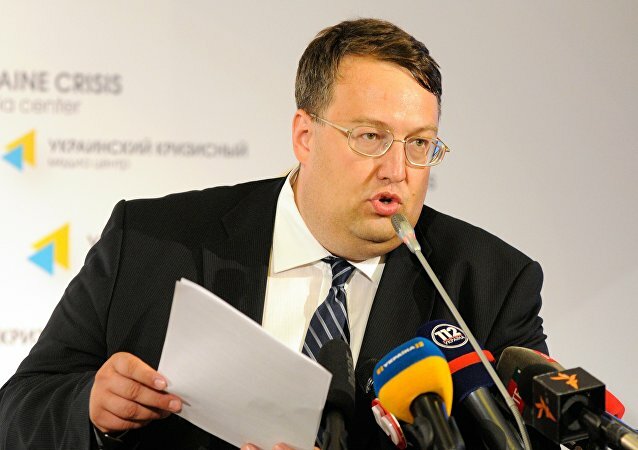 Russia’s Defense Ministry has commented on the urge of Ukrainian Interior Ministry advisor Gerashchenko to submit to him any personal information about Russian pilots operating in Syria so that he may pass it along to ISIL terrorists, suggesting that the politician be appointed to an order of Peter the Great in the name of Judas Iscariot. The Ukrainian government is on the horns of a dilemma: although Kiev wants the Donbass region to come back into its fold, it realizes at the same time that it would be politically disastrous for the present regime, US author Eric Zuesse stresses. After visiting Crimea and meeting with Russian President Vladimir Putin, Roy Jones Jr., widely considered as one of the greatest boxers of all time, is now Ukraine’s public enemy. 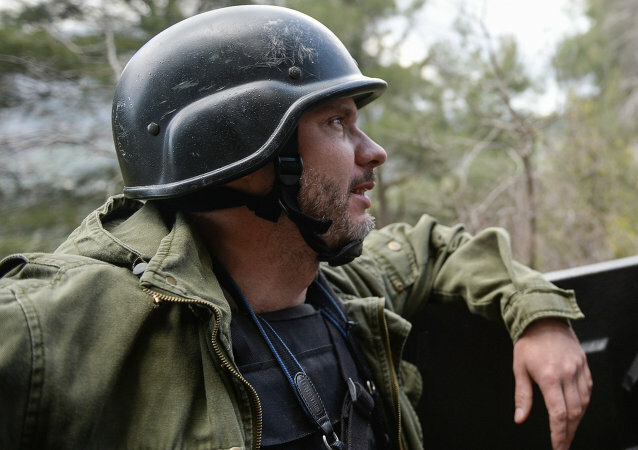 Mystery continues to shroud the tragic death of Rossiya Segodnya International Information Agency photojournalist Andrei Stenin a year after his body was found in a burnt-out car outside the eastern Ukrainian village of Dmitrovka. People in Russia and over 220 other countries wear orange ribbons with three black stripes prior to and during Victory Day events as a reminder of the Soviet people's victory in the Great Patriotic War and of the appreciation felt for the veterans who defeated Nazism. An EU-based Ukrainian journalist complained of an alleged blackmail attempt by who he believes is a top adviser to Ukrainian Interior Minister Arsen Avakov. 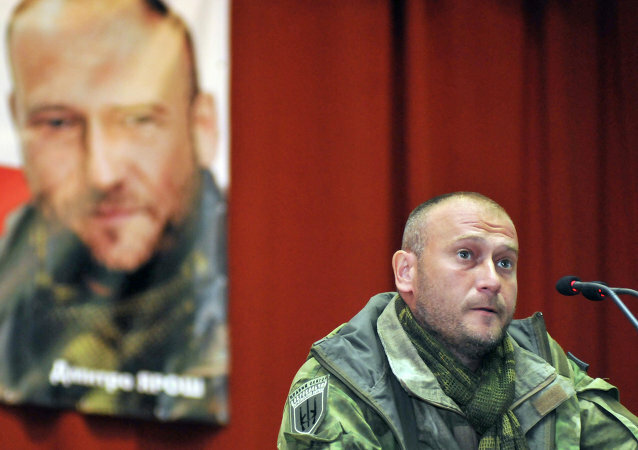 As part of an effort to get the country's volunteer battalions under his control, Ukrainian president Petro Poroshenko is said to have offered Right Sector leader Dmitri Yarosh a post in the Ministry of Defense. A young woman, originally from Donetsk, was fired from the police department in Ukraine's Nikolayev Region for alleged ties with independence supporters in Donbass. Ukrainian authorities gave orders to the police of Konstantinovka to use deadly force to disperse the crowd of local residents, who came to protest against Ukrainian army personnel stationed in the town, after two soldiers, driving an armored vehicle, hit a woman with two children. 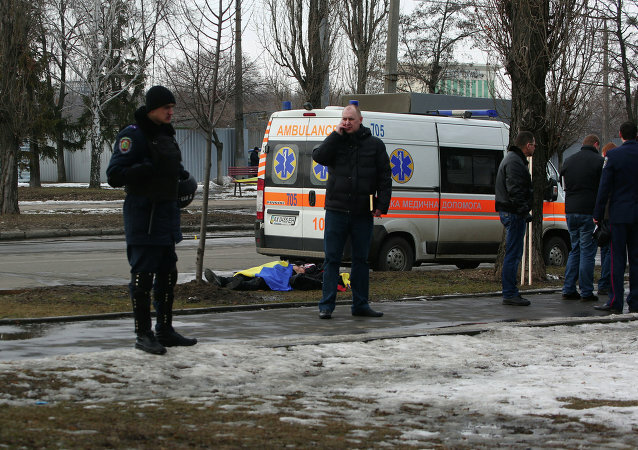 A teen injured in Sunday's bombing in Kharkiv died in hospital on Monday, as the city prosecutor announced that there is no evidence linking a group aligned with Donbas independence supporters to the attack. A member of the Verkhovna Rada intends to initiate a proposal on the introduction of mandatory accreditation for Russian journalists, working in Ukraine. Tanks have started patrolling the streets of Kharkiv, reads the statement posted on the website of Ukraine's Interior Office in Kharkiv on Saturday. A petition calling for the disclosure of information about the fate of a Rossiya Segodnya journalist who went missing in Ukraine, or to conduct an investigation into his disappearance has already garnered 1,300 signatures, the initiator of the petition, Olesya Emelyanova, told RIA Novosti. Kiev security officials have detained a citizen of Slovakia, who had been fighting with independence supporters in Eastern Ukraine’s city of Ilovaisk, the Interior Ministry reported Tuesday. The fate of missing Rossiya Segodnya photojournalist Andrei Stenin (#FreeAndrew) remains unknown two weeks after his disappearance, the head of Rossiya Segodnya’s photo department said Monday.